At the office today, a technical problem with data causes bad information on the Web which then creates human emotional despair involving at least two humans. Unable to fix the problem after several hours, I grab a cappuccino and take a drive for 10 minutes to find myself driving towards my “farm” which is really just a few acres with a barn where I dream or reprieve . 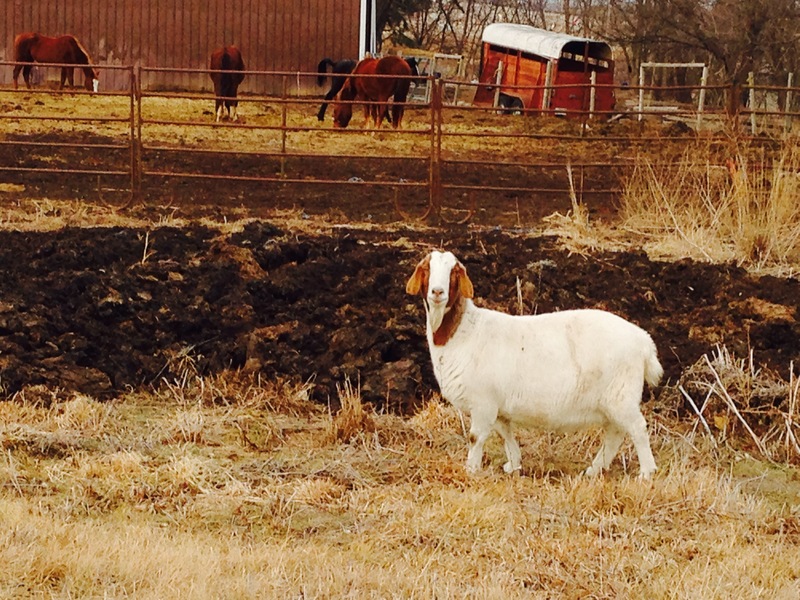 On my way there, I find that the neighbors goat has escaped again this week! She or he, not sure…is out near the road looking toward my place. Every time on my trip to the barn, I see the old goat trying to escape and about once a week she or he, actually does! The determination and pure defiance in the eyes of this old goat convinces me that my technical problems at work exist in a completely different dimensional plane of reality. This entry was posted in gardening, health, Nebraska, Self-Sustainability, Simple Living. Bookmark the permalink.